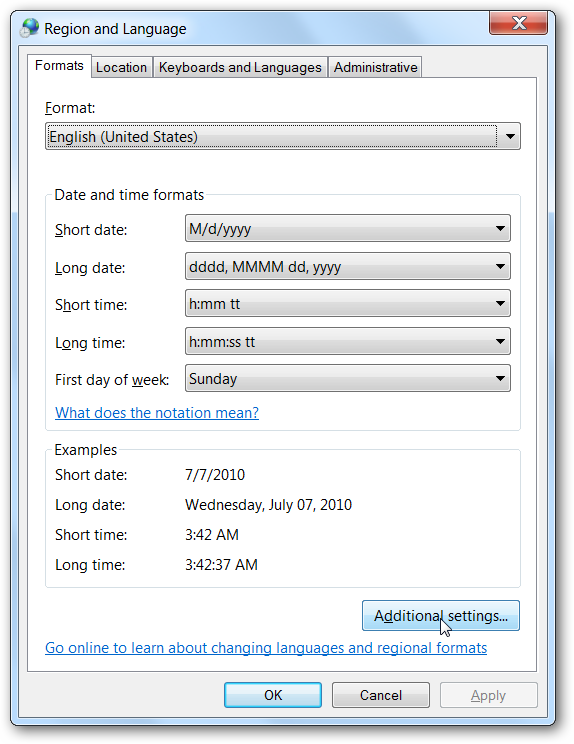 If you’re working with some awful corporate system that should have been retired in the dark ages, you might have had to produce a file from Excel with some weird delimiters other than comma or tab-delimited to import into the system. Here’s the trick on how to do it. Naturally, this isn’t the type of article that most people will need to use, hopefully ever—but if you do need to know how to do it, the solution isn’t really obvious at first. 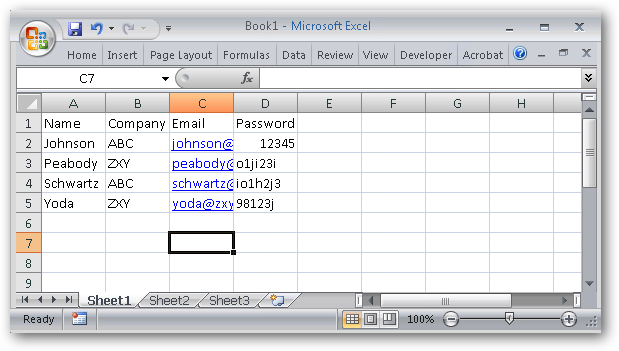 For the purposes of this example, we’ll use this silly little Excel file. 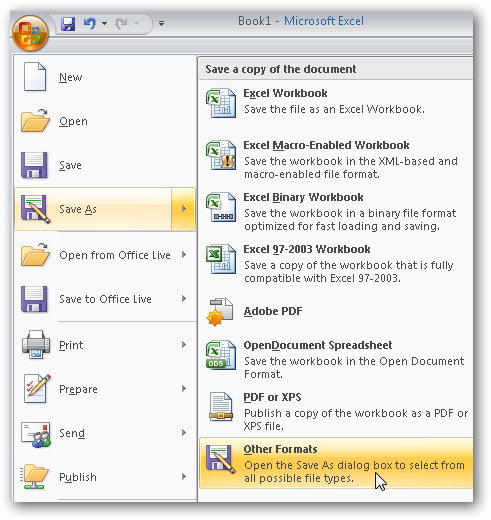 To save the file as Delimited, you’ll need to click the Office button and choose Save As –> Other Formats. 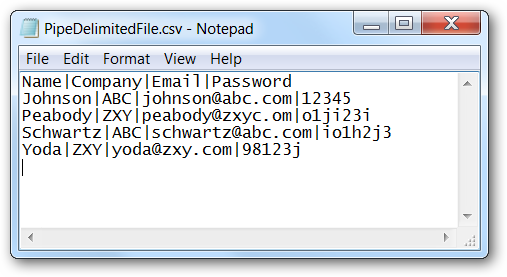 Then select CSV (Comma delimited)(*.csv) from the drop-down list, and give it a name. Now look very closely at the “List separator” item, which normally has a comma in the field, but for the purposes of illustration I’ve switched it to a Pipe character. 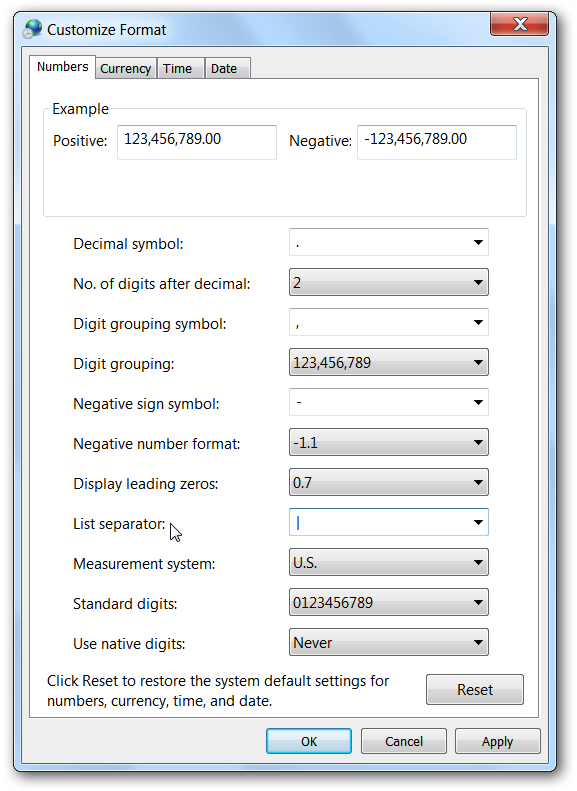 Once you hit Apply, and then save your Excel file, you’ll notice that your file now has pipe characters as the delimiter. You’ll probably want to change the List separator back to a comma just in case some other application needs it.